Alabama Poet Laureate and Writers Hall of Fame inductee Andrew Glaze died in his sleep at home in Birmingham on February 7. He was 95. 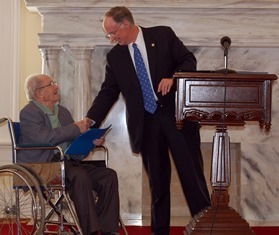 Governor Robert Bentley commissioned Glaze as the eleventh Poet Laurette at a ceremony in the Old Supreme Court Archives in the State Capitol in November 2012. 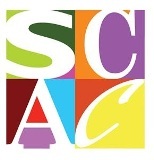 He was inducted into the inaugural class of the Alabama Writers Hall of Fame in June 2015. Glaze is the author of eight books of poetry, and he has published two collections of selected works. Glaze initially won critical acclaim with the publication of his first book, Damned Ugly Children: Poems (Trident Press, 1966). His latest volume of poetry is Overheard In a Drugstore (NewSouth Books, 2015). He is survived by his wife, former dancer and actress Adriana Keathley; his son Peter; daughter Elizabeth; daughter-in-law; son-in-law; three grandsons, and one granddaughter.